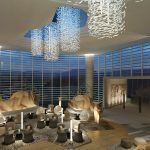 Autograph Collection Hotels, Marriott International’s distinguished portfolio of independent hotels recognized for celebrating individuality, announced today its debut of four properties in Asia next year. 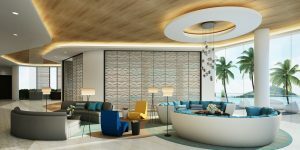 In early 2017, the brand expects to open The Shanhaitian Resort Sanya in China, The Majestic Hotel and Hotel Stripes in Kuala Lumpur, Malaysia and RYSE hotel in Seoul, South Korea. Autograph Collection Hotels is a curated collection of some of the finest independent hotels located in extraordinary destinations throughout the world. Each hotel is hand-selected for its heartfelt design, exquisite craftsmanship and uncommon details to enchant the individualist traveler with exactly like nothing else experiences. The Shanhaitian Resort Sanya is located in the Da Dong Hai Bay area of the Sanya region on China’s Hainan island. With beautiful shorelines of pristine white sand, crystal clear waters and stunning vistas, Da Dong Hai beach is a tropical paradise located close to the city centre. A celebration of creativity, the property’s contemporary design exudes a glamorous, fashion-forward aesthetic anchored by style and self-expression. Autograph Collection Hotels is scheduled to add three additional properties in Malaysia and South Korea in 2017 including The Majestic Hotel and Hotel Stripes in Kuala Lumpur, and RYSE hotel in Seoul – each offering distinctive experiences inspired by the destination. Originally built in the 1930s, The Majestic Hotel is an iconic Art Deco landmark and is home to The Smoke House – a celebrated lounge and bar featuring a card and cigar room, screening room, bespoke tailor and gentleman’s grooming salon. Hotel Stripes is chic urban hotel in Kuala Lumpur’s trendy Jalan Kamunting area, which is home to a burgeoning art and culinary scene. RYSE hotel in Seoul embodies the creative spirit of the city’s hip Hongdae district with an artistic and design-centric aesthetic. Currently there are four Autograph Collection hotels in the Asia-Pacific region, including The Stones Hotel – Legian Bali (Bali, Indonesia), The Prince Sakura Tower Tokyo (Tokyo, Japan), THE PLAZA Seoul (Seoul, South Korea) and Pier One Sydney Harbour (Sydney, Australia). With more than 100 luxury and lifestyle hotels found in the world’s most desirable destinations, Autograph Collection Hotels offer one-of-a-kind experiences in beautiful and iconic cities including The Cotton House Hotel(Barcelona, Spain) located in the former headquarters of the Cotton Textile Foundation; Domes Noruz Chania(Crete, Greece) – a new adult-only resort situated on the picturesque shores of Chania, Crete; and Roomers Baden-Baden (Baden-Baden, Germany) a new luxury design hotel in Germany’s renowned spa destination designed by celebrated Italian interior designer Piero Lissoni. Exactly like nothing else, each Autograph Collection property is a personal realization of an individual founder’s vision. These hotels are defined by unique design, differentiated guest experiences and the meaningful role they play in locality.